Looking for the next great idea to ignite your promotional efforts? 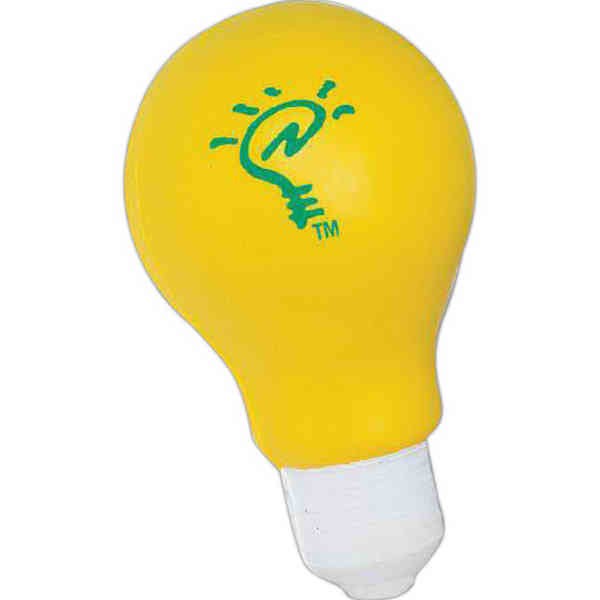 This light bulb-shaped stress reliever will do the trick! This anxiety reliever measures 2 1/4" x 4" x 2 1/4", is made of polyurethane and is manufactured by hand, so each one is unique. Keep in mind that because of the nature of these stress products, some distortion or imprint break-up may occur. Customize with your company logo for added visual flair. Not intended for children under the age of 12. Size: 2 1/4 " x 4 " x 2 1/4 "
Price Includes: First repeat setup is free. Charge is for additional setups.